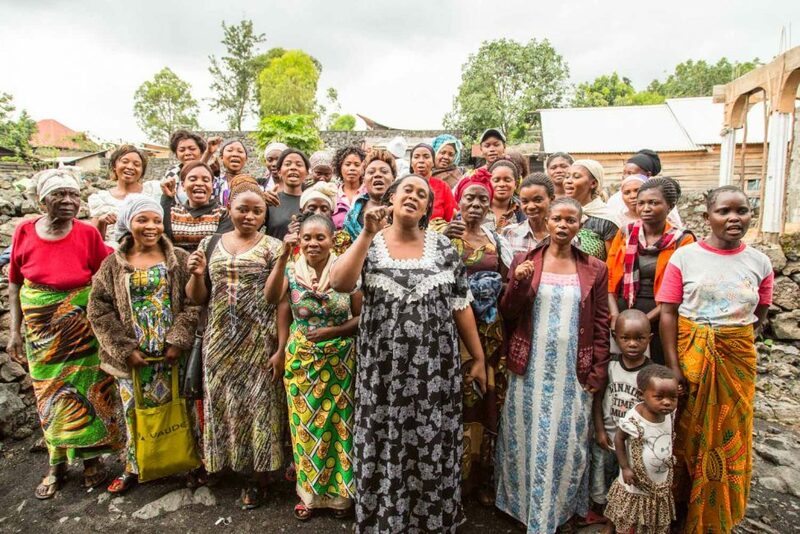 These are the women of the Democratic Republic of Congo. This country of contradictions, of faded grey volcanic rock roads + bright bitenge fabric. Where mineral wealth lines of the pockets of international business, but does not feed the fractured national infrastructure. Where national unemployment fluctuates between 30-40% + underemployment inflames this statistic, so that over half the population are enticed to lethargy or anarchy. It is here that these women, these fierce + faithful entrepreneurs are selling food on roadsides to feed their families. They are focused, proud, undereducated, sometimes desperate, but determined not only to feed their children, but make their voices heard.